How do I Update filters for MonitorWare Agent, WinSyslog and EventReporter? 1. You would at least need the Basic Edition of MonitorWare Agent / WinSyslog / EventReporter for this scenario. Please Note: We are using MonitorWare Agent in this guide whereas MonitorWare Agent is superset of WinSyslog and EventReporter. So this guide is also applicable for WinSyslog and EventReporter. String comparison in Filter Conditions are “Case Sensitive”! 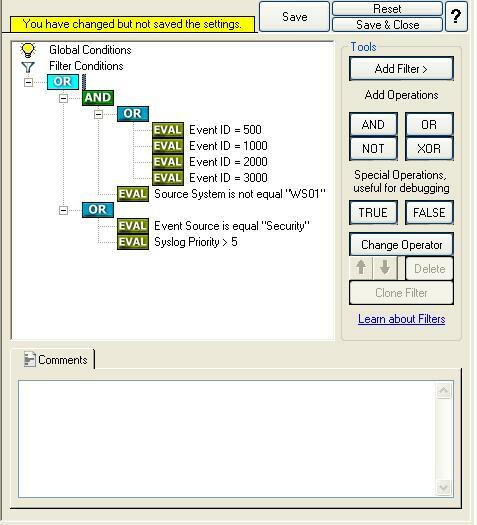 For example, if the Source System name is “ws01” and you had written “WS01” while applying the filter, then this filter condition would “NEVER” evaluate to True! Please double check before proceeding further! You would have to follow the following steps in order to accomplish this. 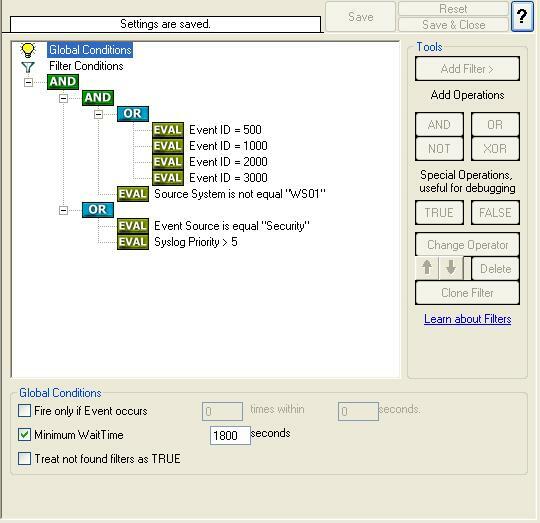 We will be working on this part of the filter condition. 4. 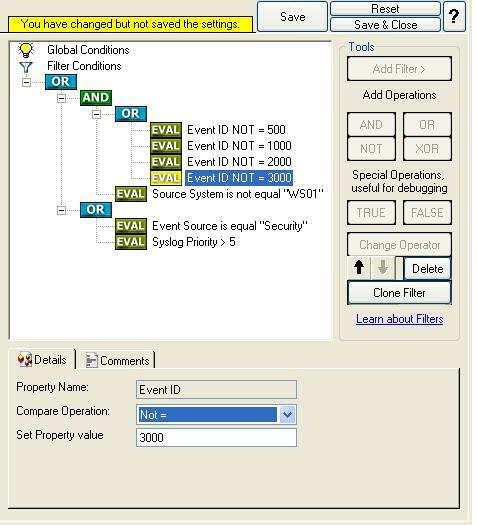 In order to update the actual values of the Event ID, select each of the filter. A small dialog opens at the bottom of the screen and update the required values. In our sample, these are Event ID 500, 1000, 2000, and 3000. 7. Last, save the changes if you haven’t done it before and then restart the MonitorWare / WinSyslog or EventReporter service. 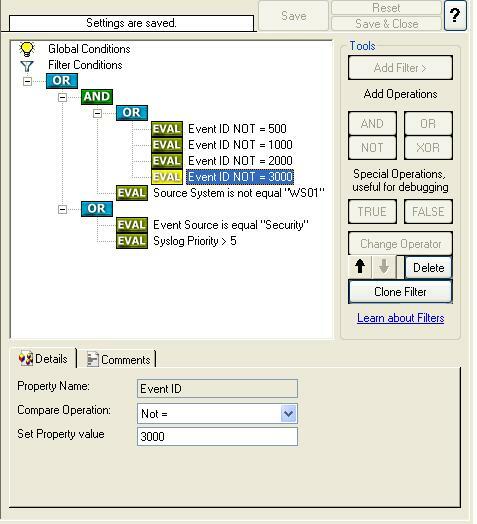 MonitorWare / WinSyslog or EventReporter cannot dynamically read changed configurations. As such,it needs to be restarted after such changes. « How do I Delete filters for MonitorWare Agent, WinSyslog and EventReporter?